Q. Gen. 10:25 says the “earth was divided” in the days of Peleg. What does that mean? Is God speaking of a physical division, such as has/is occurring in the Great Rift Valley, a fault from which runs through Jerusalem and the Olivet? Or does it mean the people “divided up” the earth into geopolitical shares? A. I think the earth was divided into continents at that time. Genesis 1:9 says land (singular) was separated from the waters (plural) on creation day 3. 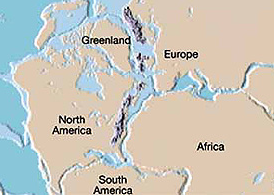 Some scientists speculate there was originally one continent they call Pangea, which was later split into the 7 we know today. Although they say it happened millions of years ago, I think it was more likely just after the Great Flood, as Genesis 10:25 suggests.